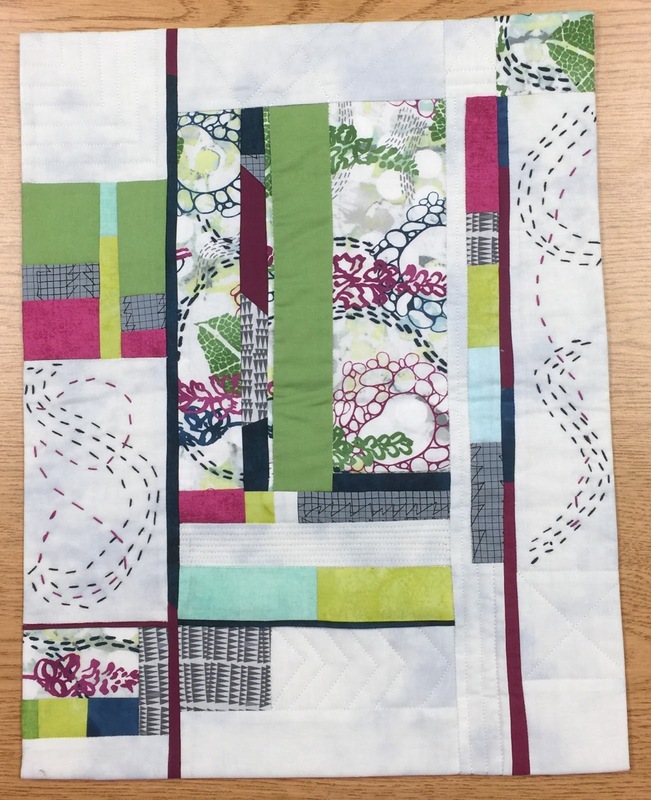 Challenges are a great way to learn Modern Quilt design concepts. 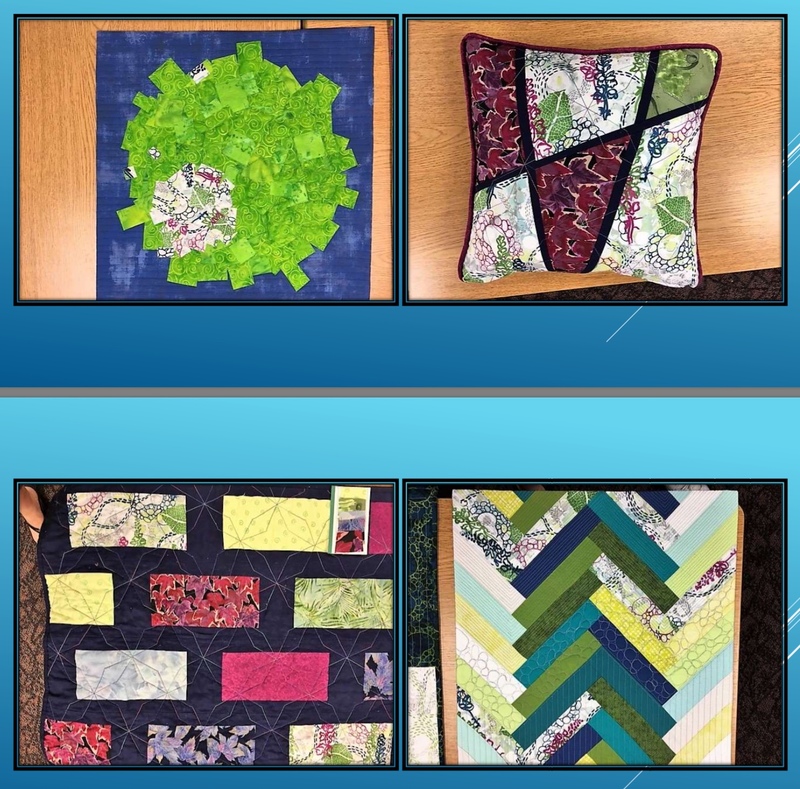 The Program and Outreach Committees have teamed up to create a Design/Charity Quilt Challenge! We will use leftover fabric strips provided by Days for Girls; so, think bright, bold colors and patterns. Adding to the challenge are strips of donated fabrics which were not sold at the Airing. And Christine Ravish donated her leftovers strip collection! 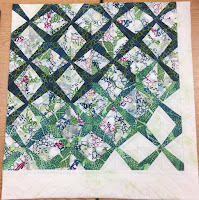 Can these strips really all go in one block or even one quilt? That's part of the challenge! At the meeting, select a packet of fabric strips (of your choice, with your eyes wide open!) 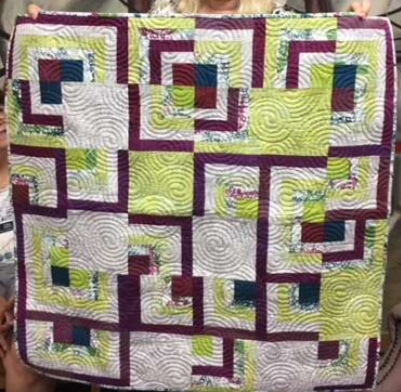 to use to design a whole top or finished quilt to be donated to our Outreach program. The finished quilts will be distributed as needed throughout the year. 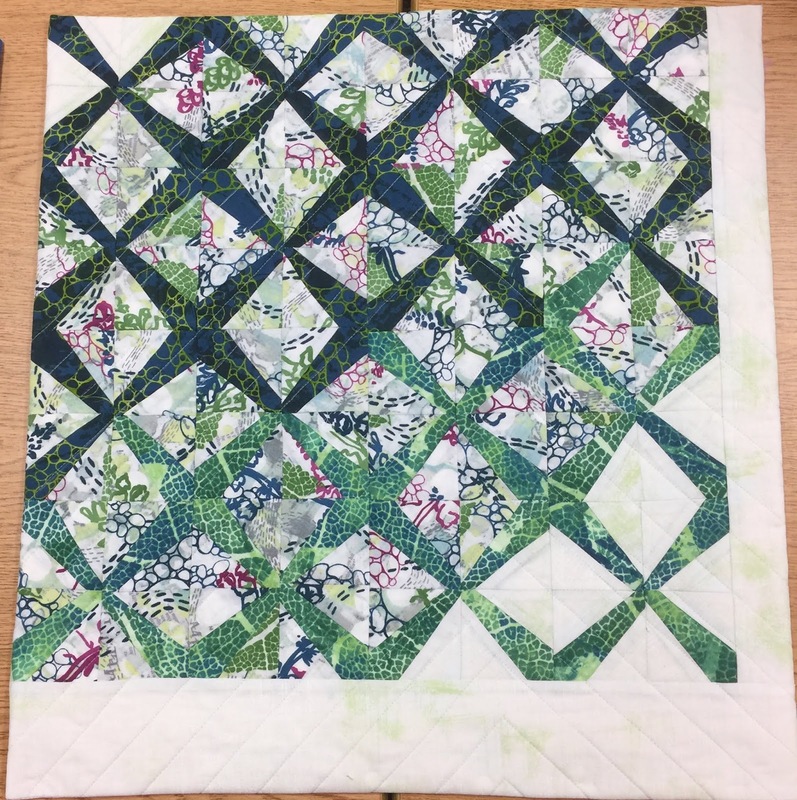 Explore the many ways strips can be used to create blocks, whole tops or elements incorporated in other designs. Quick research will show you more ideas than you can image. 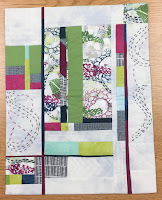 Edit your strip packet as desired, add or subtract fabric (please return any unused strips) but remember part of the challenge is to use all the various prints and make these strips work for you to create a fresh and modern design. 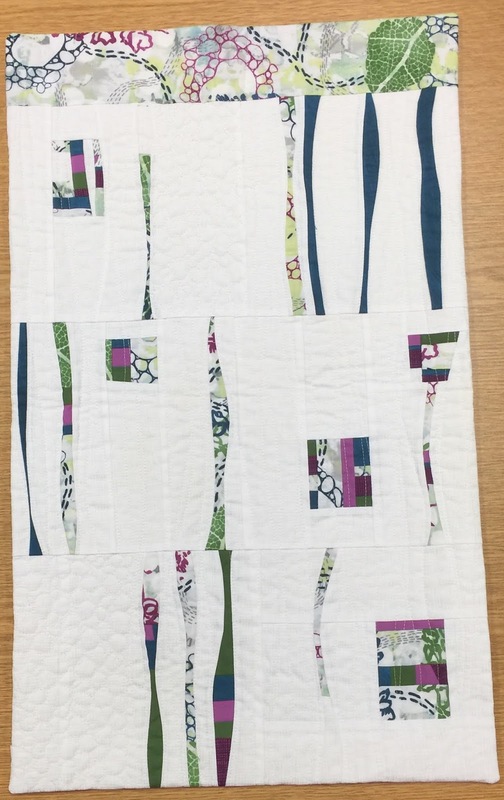 Some of our Sallie House kids suggested flannel backs. Additional fabric, including flannel and batting will be available at the meetings. 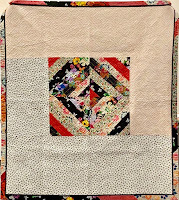 Photo- Use the above photo to interpret some aspect of the picture and design a modern quilt. You can look for lines, curves, shapes, colors, specific objects or impressions or even a literal representation. Just make it modern. The photo says; Florida, palms, beach, quilts, fresh and modern, and brings to mind the "Airing" which itself is inspiring. 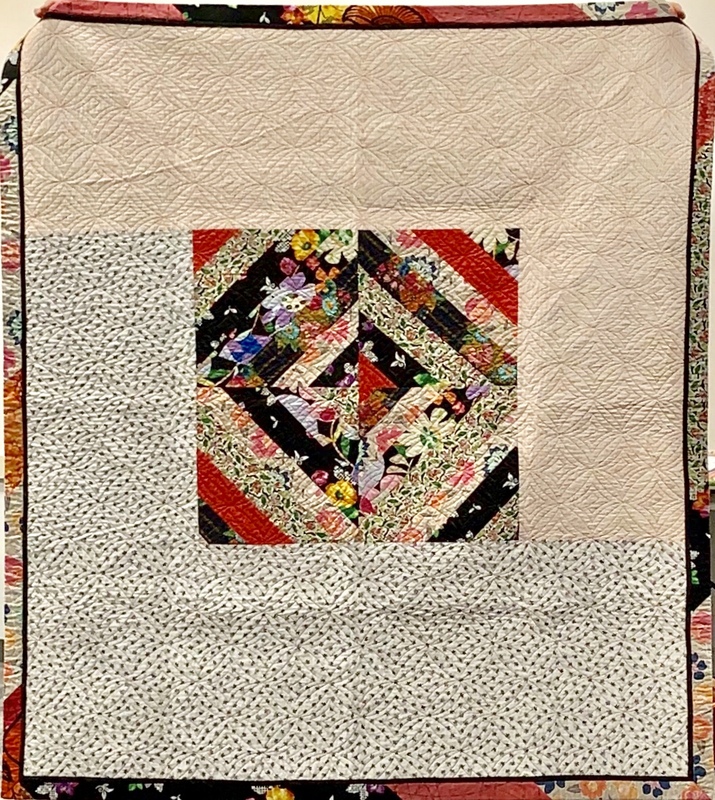 The limitation of the same size will make a striking display with the quilts hung together along with the photograph of same size for a cohesive gallery. 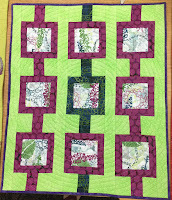 Create a Modern Quilt with an emphasis on the scale. The challenge will be further explained in the program of the June meeting with a slide show illustrating the various aspects of scale. Scale- can be expressed in the varied size of the objects in the design or the scale of the fabric (ex.large dots compared to small dots). Or you can play with perspective and proportion. Size- The perimeter should be no greater than 144 inches, that is, the sum of the length of all four sides should not exceed 144". It is your choice as to the dimensions. Added challenge- (not required) try fitting your design into a golden ratio 8x13, 13x21, 21x34, etc. Recognize the Fibonacci sequence? The Elements of Scale challenge asks us to develop our design utilizing the element of scale. Here are some references to scale for you to explore. Scale "The size of a shape in relationship to the other shapes in a composition is scale. A variety of sizes will make a design more interesting. Larger shapes will feel closer, and smaller shapes will feel further away. 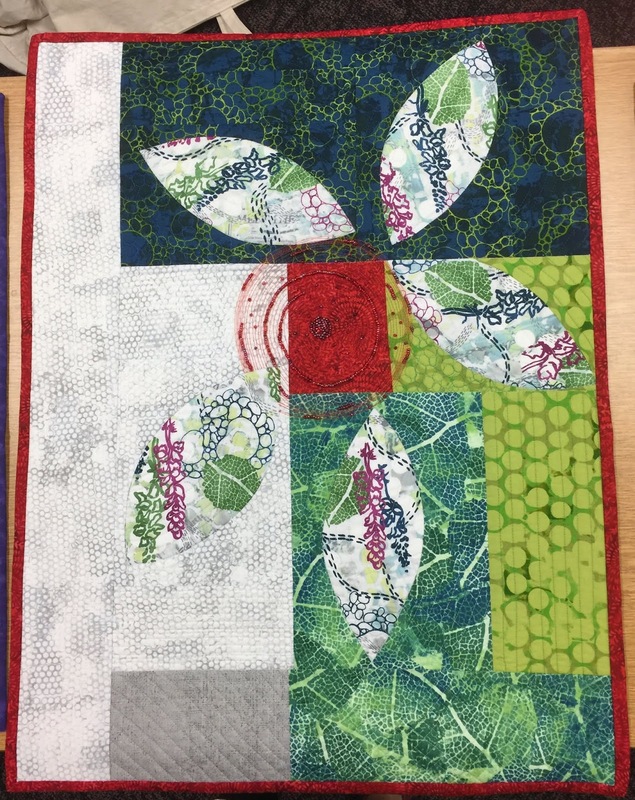 An area in the quilt with smaller detailed shapes can create a center of interest, inviting the viewer to come closer and take a look. 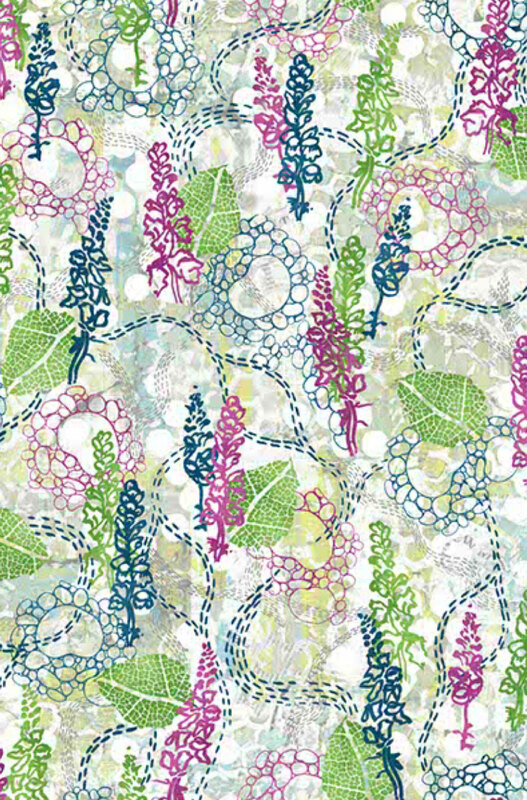 Scale can also refer to the character of shapes and lines in fabric." Scale "Scale is developed by using a variety of sizes of objects. Monotony occurs when everything is the same size, For example, areas that are small and busy should be balanced with larger, calmer areas that the give the eye a place to rest." 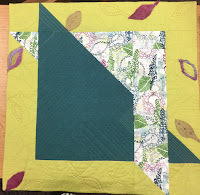 Theme- Use the fat quarter in your quilt adding as many other fabrics as you would like but make sure the challenge fabric is identifiable on the front of your quilt. Size- the perimeter should be no greater than 144 inches, that is the sum of the length of all four sides should not exceed 144". 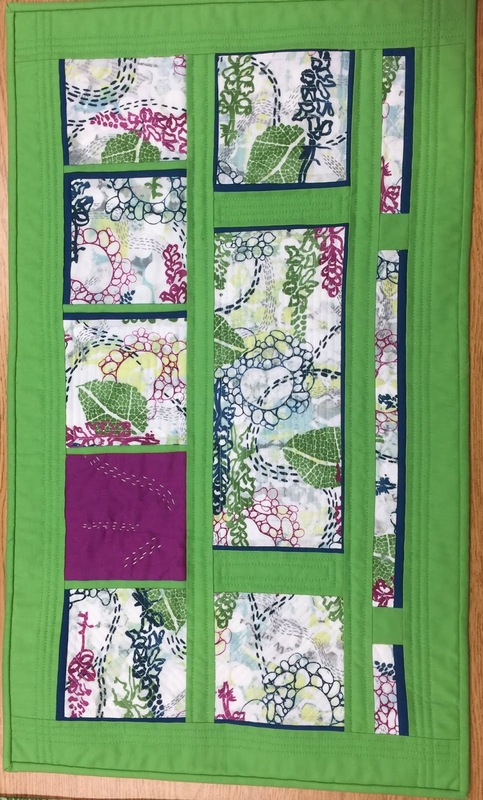 This allows for a somewhat larger quillt, say 24" x 36" but still encourages smaller sizes such as the under 24" per side of last year's challenges. Your choice. 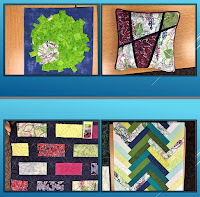 Fabric kits were chosen at the March and April meetings and at the Retreat - sight unseen! 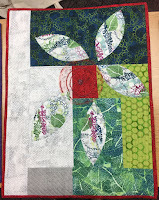 Cut a small sample of each fabric in the kit and attach it to the file card provided. 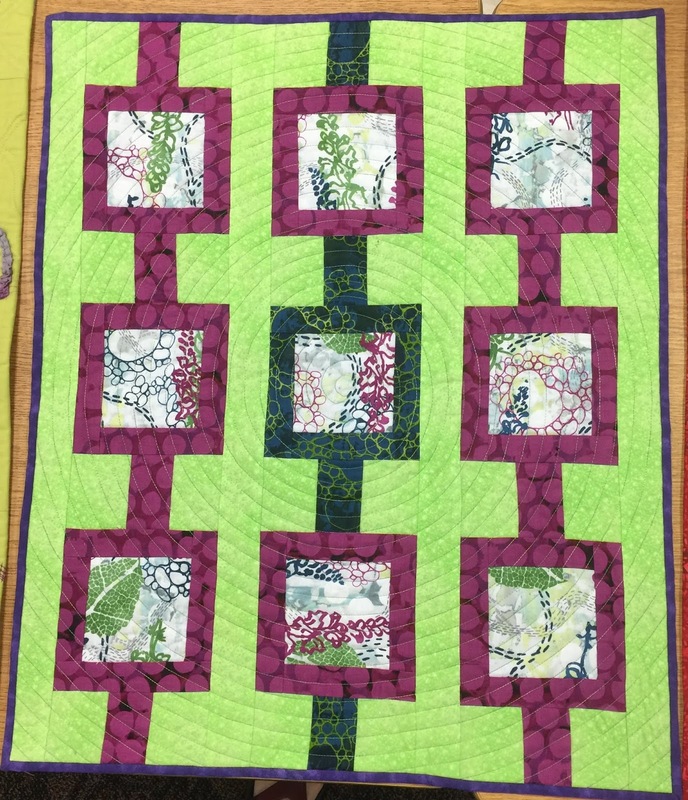 The quilt must contain a piece of each fabric. Add as many other fabrics as you want. Size The quilt maybe any size from mini to large - your choice. The challenge is to make a modern design with non-modern fabrics. Every kit is different but most contain traditional fabrics. 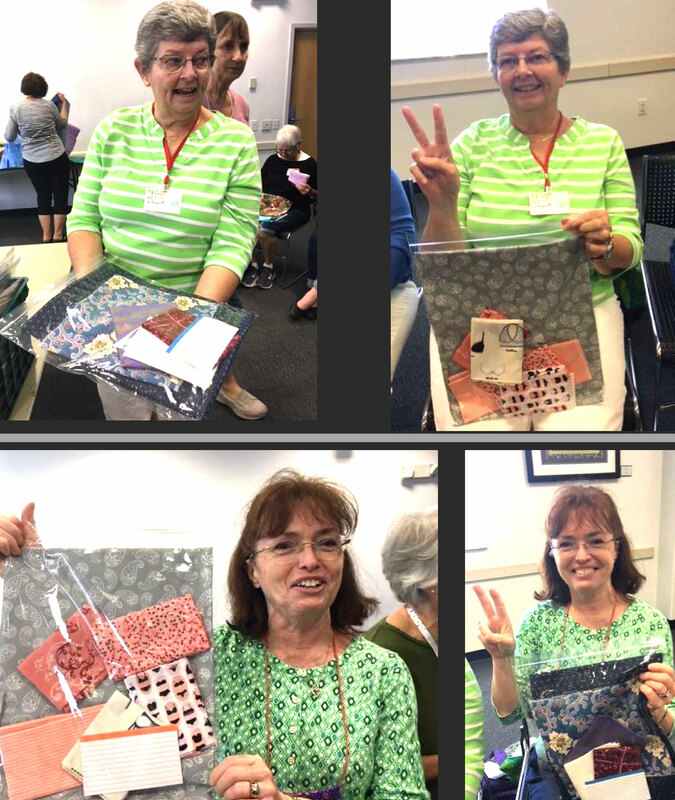 Pat and crew organized packets of donated fabrics. Some kept their first draw, others exchanged for a second draw. (Is that really bra fabric?) Come to the July meeting for the full reveal.